The renovation of the Root Schoolhouse at Goodrich Four Corners is poised to begin! The historic schoolhouse will be jacked up off its present crumbling foundations and replaced on a new solid rebuilt base. Thanks to our many generous donors, we have sufficient funds for the first phase of the project. When this first phase of work is complete, we will be able to use the building on a limited basis once again. Further enhancements such as window repairs, wiring, water and plumbing updates will come under the next phase and will depend on continued support from our membership and our friends over time. We have been working with Smith and Vansant Architects on the foundation project. They have developed plans and worked with us to solicit bids from building contractors. A contract will be finalized soon. If all goes well, we will open for a community celebration later this summer! Thanks to all who attended a gathering on October 22, 2018, at the Norwich Historical Society, to discuss the progress we have made and to vision plans for the future. There were lots of great ideas generated by the group. It has been a long process to reach this stage, and now we are within sight of our goal. Many people have been involved in getting us this far. In addition to our private donors, grants from businesses, clubs, and the VT Division of Historic Preservation, we have received a large matching grant of $40,000 from the Byrne Foundation. We also thank Brian Cook, who led our committee through the earlier planning and fundraising years. We invite you to help bring the schoolhouse back to life by supporting it with your time, talent, ideas and energy. If you would like to join us, please send an email to vtrootschoolhouse@gmail.com. 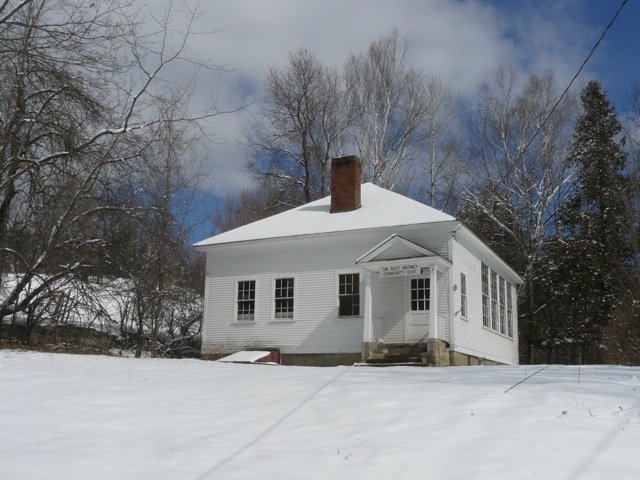 Root Schoolhouse in Norwich, Vermont is a one-room schoolhouse built in 1937 and added to the National Register of Historic Places in 2013. The building was used as a school until 1945, then as a community center from 1952 to 2011, when it was closed for all public use due to its deteriorating foundation. The Root District Game Club, caretakers and owners of the building since 1952 and a 501(c)3 nonprofit organization, is working to save the schoolhouse and return it to public use. Please join us! I believe my great aunt, Eunice Goldie Fifield Gilman, was a teacher at the Root School. She boarded in Norwich in 1930, married my great uncle, Lee Gilman in 1935. They lived all there married life on the Gilman farm on the Turnpike Road in Norwich. I have in my possession a postcard that was with my grandmother, Ruth Gilman White’s, small collection of items that was passed on to me. 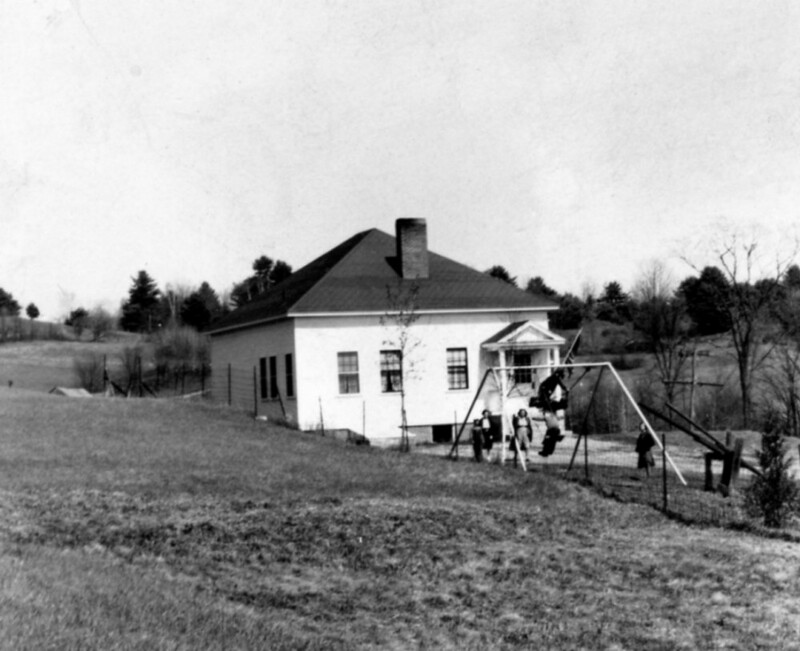 The picture is of a teacher with 11 children in front of the schoolhouse.